News & Events Support Our Need-Based Scholarship Fund! Support Our Need-Based Scholarship Fund! Help Learners Chess fully fund all of our need-based scholarship requests this school year! All donations up to $1,000 matched in November, 2018!!! Some are pursuing higher education and are not yet able to bring in enough income to afford chess club. Many others have recently lost a job. Many have had a recent healthcare crisis. Many others are single parents or grandparents doing everything they can to provide for their kids on limited incomes. But they still do what they need to do to get their kids into chess: They ask for help! No matter the reasons, at Learners we believe that no child should miss out on the opportunity to learn chess! Thanks to a very generous local donor, every dollar donated up to $1,000 will be matched through the end of November! 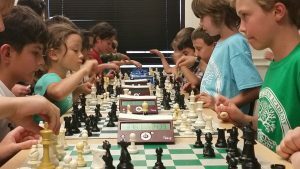 Make a donation to support all kids getting to learn chess today!